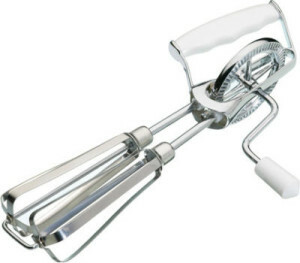 Kate Lowe is looking for someone to help her build a 2.5-3 foot long working egg beater for a film project. She is working on a film project called Super Chef, and she needs to build a larger-than-normal egg beater for one of the scenes. Kate is unsure of how to do this and really needs some help. Please contact Kate Lowe if you know where she could find materials or how to do it. Her email is: kal13e@my.fsu.edu.